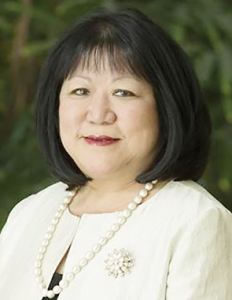 Governor Edmund G. Brown, Jr. appointed Ellen Junn, President of California State University, Stanislaus, to the board of directors of the California Partnership for the San Joaquin Valley. In-Shape Health Clubs announced in March Francesca Schuler has been named CEO, replacing Rich Nelsen who is stepping away. Schuler, who was most recently COO of In-Shape, is known throughout the organization for her inspiring, people-first approach to leadership and ability to drive growth and cultural transformation. She’s dedicated to creating diverse workplaces and promoting from within. “Francesca is a visionary, but importantly, with over 25 years of experience in marketing and operations, she has the tools to turn that vision into reality. We believe Francesca’s experience, perseverance and passion for In-Shape is the perfect combination to lead the team to achieve our long-term goals,” said Jeff Jones and Scott Earthy of Fremont Private Holdings. Finally, as part of this transition, Jeff Jones from Fremont Private Holdings will be joining In-Shape’s board as Executive Chairman working directly with the leadership team. “It’s an exciting time to lead the team at In-Shape as we continue to focus on innovation. 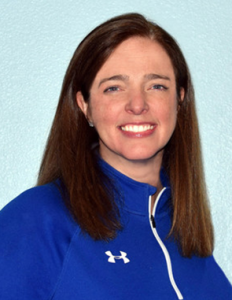 We are launching new programming in group fitness, a partnership with TRX to develop new personal and team training and we are in the final stages of implementing a new CRM system,” said Ms Schuler. Prior to joining In-Shape, Ms. Schuler was the CMO of BevMo!, a specialty beverage retailer based on the West Coast. She joined BevMo! from Treasury Wine Estates Americas where she was CMO, managing a wine portfolio of over 50 brands. Throughout her career, she also held executive positions at Method Products, Inc, The Gap, and was a partner at Marakon Associates. Ms. Schuler has an M.B.A. from Wharton and a B.A. in Comparative Literature from Brown University. Modesto Junior College honored four outstanding students during the 2018 Disability Services End-of-the-Year Celebration. The event was held April 6 in the Mary Stuart Rogers Student Learning Center located on the West Campus, 2201 Blue Gum Avenue, Modesto. During the 30th annual ceremony, the following students are receiving awards: David Perry – Most Persistent Award, Shantel Johnson – Most Resilient Award, Silvia Prado – Most Motivational Award and Siegfried Dominic Guentensperger – High Achiever Award. The awards recognize these students’ dedication and hard work. The American Association of Nurse Assessment Coordination selected Turlock Nursing and Rehabilitation Center as the Best Practice of the Year Award winner. AANAC recognizes Turlock Nursing and Rehabilitation Center (TNRC) for its implementation of the SMART (Safety, Medication Management, Assessment of Home Needs and Support, Rehospitalization Prevention, and Teach Back) Stay System. This best practice program addresses the continuum of care for residents starting from acute hospital discharge, transitioning to skilled care at TNRC, and continuing home with necessary home health services. The program occurs in different phases involving all disciplines, residents, and families. Since implementing this program, Turlock has reduced acute hospital readmissions, reducing costs for the residents and families. For almost two decades, AANAC has recognized those who demonstrate leadership and professionalism in long-term care. Awards are presented every year at the association’s annual conference. The Carnegie Arts Center is proud to announce that Director Lisa McDermott has recently been elected to serve as a member of the Board of Directors of the California Association of Museums (CAM). At the CAM annual conference, held this past February in Palm Springs, McDermott joined the board which consists of 23 museum professionals from throughout the state. McDermott, who has been involved in many aspects of the museum field for over 30 years, has been appointed to serve on two of the association’s committees, Government Relations (focusing on advocacy and legislation that affects museums) and Multicultural & Emerging Professionals (which oversees scholarship funds and professional development efforts to support those new to the field and to help diversity the museum workforce). McDermott was raised in Turlock, CA, and earned her BA in Art History from UC Berkeley. She worked as curatorial intern for the Smithsonian Institution’s Traveling Exhibition Service and at Hearst Castle before completing her MA in History at Boston University. Between 1987 -2001 she worked in collections management and curatorial roles at the Rose Art Museum (Brandeis University), the Davis Museum (Wellesley College), and the San Jose Museum of Art before returning to her hometown. She served as the City of Turlock’s Arts Facilitator from 2001 to 2009, providing administrative and curatorial support to the Turlock City Arts Commission, managing the operations of the original Carnegie Arts Center. McDermott coordinated plans for the restoration and expansion of the Carnegie following a devastating fire in 2005 and assisted in the transfer of responsibility for the center’s operations from the City to the non-profit Carnegie Arts Center Foundation. She served as the Foundation’s Assistant Director, managing day to day operations and educational programs, beginning in 2010 and was named Director in 2014. 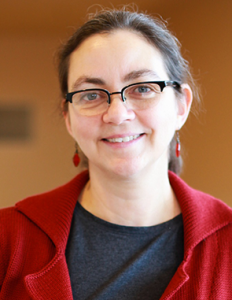 McDermott has also taught Art Appreciation at Boston University and Modesto Junior College, and a course in Museum Studies at Tufts University. 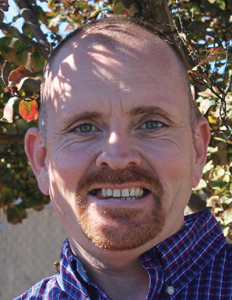 The Modesto Gospel Mission is proud to announce the promotion of Jason Conway to Executive Director after an extensive search by its Board of Directors. Conway has served as the Mission’s Interim Executive Director since July 31, 2017. During this time Conway did an outstanding job and exceeded the Board of Directors’ expectations. Conway formally assumed this role in early March. Conway became homeless in 2007 and came to the Mission and joined its 18-month New Life Program. After graduation, he was hired by the Mission and has worked there ever since. The Mission is celebrating 70 years of transforming lives in Modesto, and Conway is resolute in his desire to serve the homeless and the greater community. Guy Phillips, manager of Crocodiles Nightclub in Modesto, announced that the Phillips family is celebrating their 40th year of providing dancing and entertainment to Northern California. During the past 40 years, the music format and the name has changed to cater to a particular clientele. The club opened originally on March 28, 1978 as The Sports Page Discotheque and featured disco music which was the rage at the time. It is extremely unusual for a nightclub to survive 40 years. The Phillips family feels extremely fortunate to have been able to serve the Northern California market for all those years and thanks their hundreds of thousands of customers who have made it possible. The club has been named Crocodiles for the past 25 years and offers what Phillips describes as “the best recorded dance music from the past 60 years”. “Our disc jockey plays a big assortment of music, from oldies, rock, disco, dance, country and slow love songs. Because we play such a big variety of good dance music, we attract an older crowd that ranges from 30 to 70. We love our clientele,” Phillips said.